The Anangu people actually offer visitors a range of eco-cultural tourism activities that focus on sharing Indigenous culture, knowledge and traditions. Closing Uluru to climbers empowers Indigenous people to teach visitors about their culture on their own terms, which is more sustainable for tourism in the long run. 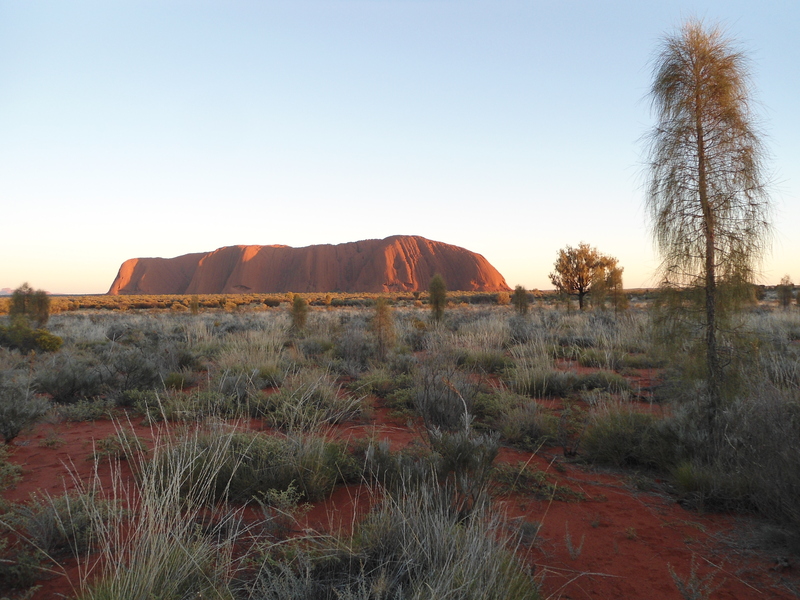 Uluru is a drawcard for international and domestic tourists, and is visited by over 250,000 people per year. A substantial number of these choose to climb the rock. On busy days, the number can be in the hundreds. This is despite being asked by the traditional owners, the Anangu people, to respect their wishes, culture and law and not climb Uluru. The Anangu people actually offer visitors a range of eco-cultural tourism activities that focus on sharing Indigenous culture, knowledge and traditions, which don’t involve planting feet on a sacred place. 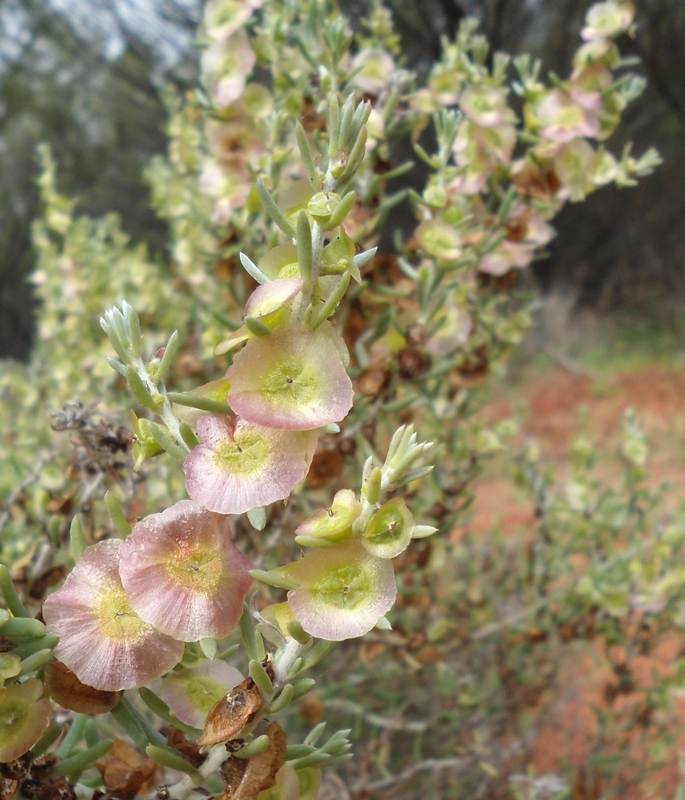 These activities including nature walks, painting workshops, bush yarns and bush food experiences. 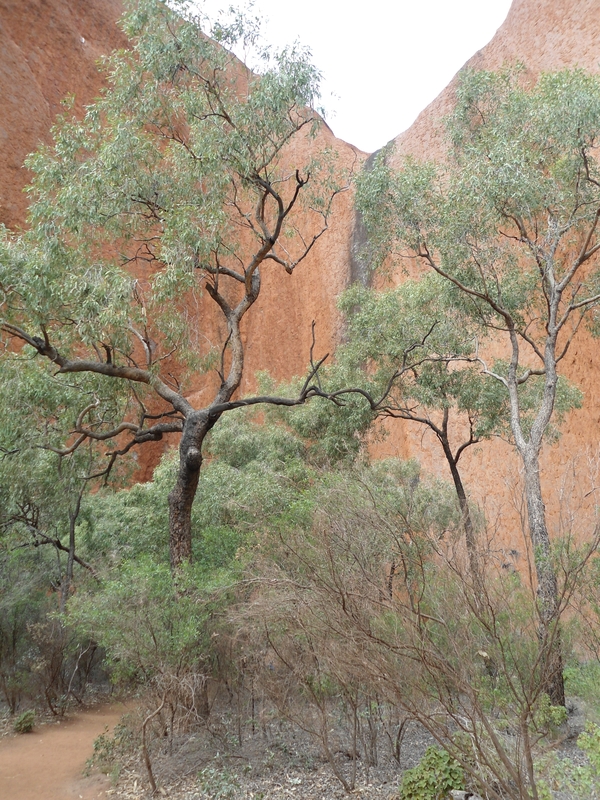 This decision to close the rock to climbers comes after many years of conceding rights back to the Anangu, and is possibly one of the few times where Indigenous values have truly been prioritised over other interests. The Uluru-Kata Tjuta National Park, declared in 1950, was handed back to the Anangu on October 26, 1985. While the agreement required the park to be leased to the Australian Parks and Wildlife Services under a co-management arrangement, the handover was a symbolic high point for land rights. … emphasis on developing acceptable patterns of use of the physical environment and not on recognition of social and spiritual values of land to Indigenous people. In 2010, the park’s management plan proposed to close the rock if the proportion of visitors who wished to climb Uluru was below 20%. An independent analysis of track counter data and visitor statistics undertaken by the Griffith Institute for Tourism over a four year period revealed that in almost all circumstances (and even with allowance for track counter inaccuracy) the proportion was under 20%. Finally on November 1, the Uluru-Kata Tjuta National Park Board of Management, consisting of eight traditional owners and four government officials, voted unanimously to close Uluru (Ayers Rock) to climbers. The local tourism industry supported the decision. Increasingly, visitors around the world are seeking such opportunities to experience various aspects of Indigenous culture. Not surprisingly, Aboriginal and Torres Strait Islander peoples are realising the sociocultural and economic opportunities of tourism and have now become an integral part of the Australian tourism industry. But for Aboriginal and Torres Strait Islander peoples, getting involved in the tourism industry comes with its own set of problems. They have been tasked with juggling their heritage, customs, culture and traditions with government initiatives that prioritise economic over socio-cultural development. For example, as Quandamooka Dreaming “targets big dollars from tourism” in SE Queensland, the traditional owners are successfully balancing their socio-economic aspirations with cultural lores by determining that some sacred sites will remain accessible only to elders and initiated Indigenous Quandamooka people. But other sites will be open to eco-tourists. However, too often, tourism development is associated with issues of commercialisation, lack of authenticity and exploitation of culture. Given the considerable pressure tourism places on local resources and places, the involvement of local communities and different groups within them is now considered critical for achieving sustainable tourism. A recent report concludes that participation and empowerment of local communities are success factors to managing tourism growth. It’s the local community that looks after the destination, and it can make or break a tourist’s experience. The report finds developing tourism without input from the local people has often led to conflict. Closing Uluru for climbing should be seen as a shining example of sustainable tourism being a vehicle for the preservation, maintenance and ongoing development of culture, traditions and knowledge. And when reconciliation principles are practised not preached, traditional custodians of the land are afforded due respect. This then leads them to share their 60,000 year old knowledge of the management of the land we are privileged to utilise as tourism destinations. The Uluru-Kata Tjuta National Park board of management has announced that tourists will be banned from climbing Uluru from 2019. 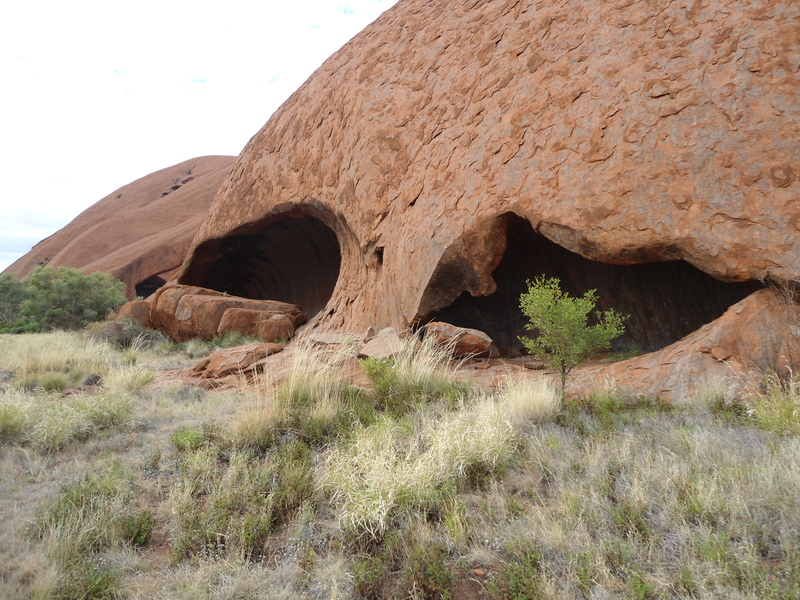 The climb has always been discouraged by the park’s Traditional Owners (the Anangu people) but a number of tourists continued to climb the rock on a daily basis. Below, in English and Indigenous language, Sammy Wilson, chairman of the park board, explains why his people have decided to ban the climb outright. THE Uluru-Kata Tjuta National Park Board has announced tourists will be banned from climbing Uluru, an activity long considered disrespectful by the region’s traditional owners. Anangu have always held this place of Law. Other people have found it hard to understand what this means; they can’t see it. But for Anangu it is indisputable. So this climb issue has been widely discussed, including by many who have long since passed away. More recently people have come together to focus on it again and it was decided to take it to a broader group of Anangu. They declared it should be closed. This is a sacred place restricted by law. It’s not just at board meetings that we discussed this but it’s been talked about over many a camp fire, out hunting, waiting for the kangaroo to cook, they’ve always talked about it. The climb is a men’s sacred area. The men have closed it. It has cultural significance that includes certain restrictions and so this is as much as we can say. If you ask, you know they can’t tell you, except to say it has been closed for cultural reasons. What does this mean? You know it can be hard to understand – what is cultural law? Which one are you talking about? It exists; both historically and today. 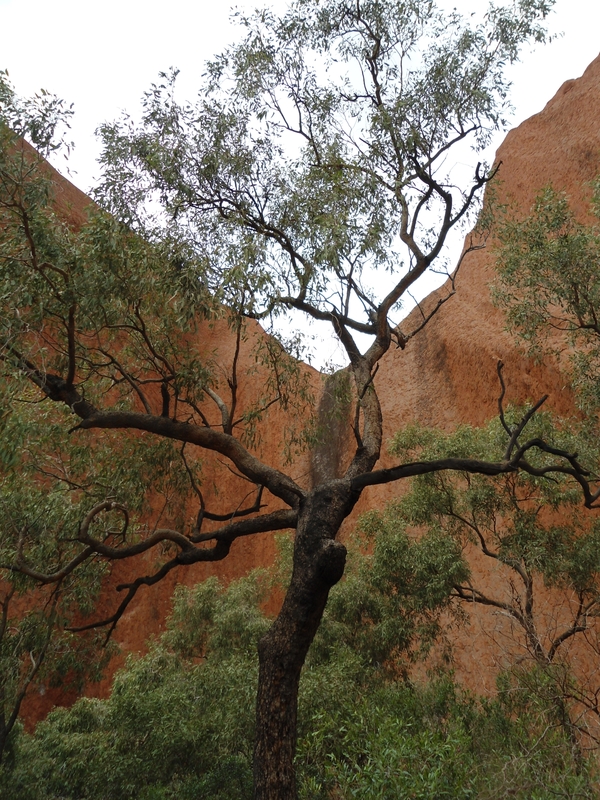 Tjukurpa includes everything: the trees; grasses; landforms; hills; rocks and all. You have to think in these terms; to understand that country has meaning that needs to be respected. If you walk around here you will learn this and understand. If you climb you won’t be able to. What are you learning? This is why Tjukurpa exists. We can’t control everything you do but if you walk around here you will start to understand us. Tourists have previously used a chain to climb Uluru, but from 2019 the climb will be banned. Some people, in tourism and government for example, might have been saying we need to keep it open but it’s not their law that lies in this land. It is an extremely important place, not a playground or theme park like Disneyland. We want you to come, hear us and learn. We’ve been thinking about this for a very long time. We work on the principle of mutual obligation, of working together, but this requires understanding and acceptance of the climb closure because of the sacred nature of this place. If I travel to another country and there is a sacred site, an area of restricted access, I don’t enter or climb it, I respect it. It is the same here for Anangu. We welcome tourists here. We are not stopping tourism, just this activity. On tour with us, tourists talk about it. They often ask why people are still climbing and I always reply, ‘things might change…’ They ask, ‘why don’t they close it?’ I feel for them and usually say that change is coming. Some people come wanting to climb and perhaps do so before coming on tour with us. They then wish they hadn’t and want to know why it hasn’t already been closed. But it’s about teaching people to understand and come to their own realisation about it. We’re always having these conversations with tourists. And now that the majority of people have come to understand us, if you don’t mind, we will close it! After much discussion, we’ve decided it’s time. Visitors needn’t be worrying there will be nothing for them with the climb closed because there is so much else besides that in the culture here. It’s not just inside the park and if we have the right support to take tourists outside it will benefit everyone. People might say there is no one living on the homelands but they hold good potential for tourists. We want support from the government to hear what we need and help us. We have a lot to offer in this country. There are so many other smaller places that still have cultural significance that we can share publicly. So instead of tourists feeling disappointed in what they can do here they can experience the homelands with Anangu and really enjoy the fact that they learnt so much more about culture. Whitefellas see the land in economic terms where Anangu see it as Tjukurpa. If the Tjukurpa is gone so is everything. We want to hold on to our culture. If we don’t it could disappear completely in another 50 or 100 years. We have to be strong to avoid this. The government needs to respect what we are saying about our culture in the same way it expects us to abide by its laws. It doesn’t work with money. Money is transient, it comes and goes like the wind. In Anangu culture Tjukurpa is ever lasting. Years ago, Anangu went to work on the stations. They were working for station managers who wanted to mark the boundaries of their properties at a time when Anangu were living in the bush. 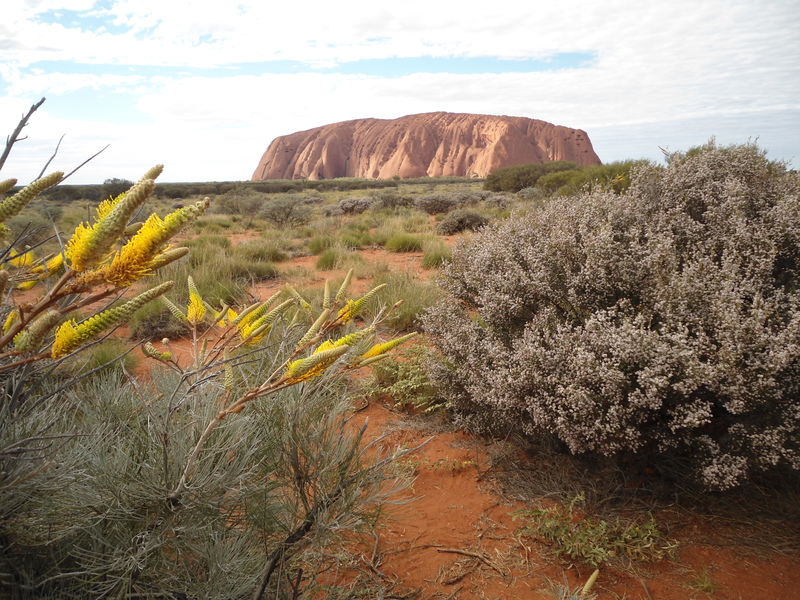 Anangu were the ones who built the fences as boundaries to accord with whitefella law, to protect animal stock. It was Anangu labour that created the very thing that excluded them from their own land. This was impossible to fathom for us! Why have we built these fences that lock us out? I was the one that did it! I built a fence for that person who doesn’t want anything to do with me and now I’m on the outside. This is just one example of our situation today. You might also think of it in terms of what would happen if I started making and selling coca cola here without a license. The coca cola company would probably not allow it and I’d have to close it in order to avoid being taken to court. This is something similar for Anangu. A long time ago they brought one of the boulders from the Devil’s Marbles to Alice Springs. From the time they brought it down Anangu kept trying to tell people it shouldn’t have been brought here. They talked about it for so long that many people had passed away in the meantime before their concerns were understood and it was returned. People had finally understood the Anangu perspective. That’s the same as here. We’ve talked about it for so long and now we’re able to close the climb. It’s about protection through combining two systems, the government and Anangu. Anangu have a governing system but the whitefella government has been acting in a way that breaches our laws. Please don’t break our law, we need to be united and respect both. Over the years Anangu have felt a sense of intimidation, as if someone is holding a gun to our heads to keep it open. Please don’t hold us to ransom…. This decision is for both Anangu and non-Anangu together to feel proud about; to realise, of course it’s the right thing to close the ‘playground’. The land has law and culture. We welcome tourists here. Closing the climb is not something to feel upset about but a cause for celebration. Let’s come together; let’s close it together. Anangungku iriti kanyiningi ngura Tjukurpa tjara panya. Tjinguru kulipai, ‘ai,ai, ah, nyaa nyangatja? What is Tjukurpa?’ Putu nyangangi panya. Palu Tjukurpa pala palula ngarinyi Ananguku. Ka palunya kulira wangka katiningi tjutangku. Kutjupa tjuta not with us panya. Kuwari wangka katiningi, wangka katiningi munuya kaputura piruku wangkanyi ka wiya, Anangu tjutangka piruku wangkara wangkara kati. Uwa ngalya katingu Anangu tjuta kutu. Ka Anangu tjutangku wangkangu palya, patila. Ngura miil-miilpa. Not only the board meeting kutjuya wangkapai, meeting time kutju but meeting out in the campfire, waru kutjara. Waru kutjaraya malu paulpai tjana wangkapaitu still. Uwa Tjukurpa wati tjutaku uwa… wati tjutangku patini, that’s it, Tjukurpa palatja patini. Only Tjukurpa kutju, uwa Tjukurpa tjarala patini, miil-miilpa. If you ask some people, kutjupa tjapini ka, you know they can’t tell you, palu tjinguru patini, Tjukurpa. Nyaa palatja, nyaa panya? You know sometimes it’s hard to understand panya: Tjukurpa nyaa? Which one? Ngarinyi tjukurpa, iriti tjinguru ngarinyi, Tjukurpa and he’s still there today. You know Tjukurpa is everything, its punu, grass or the land or hill, rock or what. Palula tjanala kulintjaku, uwa kulinma nyuntu: ‘Uwa ngura Tjukurpa tjara’. Respect ngura, the country. You walk around, you’ll learn, understand. Tatini nyuntu munu putu kulini, nyaa nyuntu? What you learning? Pala palutawara; Tjukurpa. Ka we can’t tell you what you’re doing but when you walk around you understand. Kulini. Some might be… you know, tourism, government-ngka, ‘no, leave it open, leave it’ Why? palumpa tjukurpa wiya nyangakutu. This is a very important place nyangatja panya. Not inka-inka, not to come and see the Disney land. Wiya come and learn about this place. Ngapartji ngapartjila tjunu, to work together, but they gotta kulinma panya. Munta-uwa, tjana patini nyangatja, ngura miil-miilpa. Uwa. If I go some sort of country tjinguru ngura miil-miilpa, some place in the world they got miil-miilpa, I don’t climb panya, I respect that place. Pala purunypa nyangatja Ananguku panya. Ka tourist nganana stop-amilantja wiya; tourist welcome palu these things, nyangatja nyanga, panya. Uwa, tour-ngkala ankupai. Visitors-ngku kulu kulu wangkapai, you know sometimes we was working with tourism panya, tourist-angka and, ‘why these people climbing? Kana, ‘Something is coming’. I always talk panya. Ka, ‘why don’t they close it?’ Ka uwa its coming always, ngaltu tourist tjuta, visitors. Some people, ‘I want to climb’ sometimes visitors climb Uluru munu ngalya pitjala on tour, why I climb? Alatji, why don’t they close it. Ka wiya, it’s coming now you know, nintintjaku, visitors kulintjaku munta-uwa. Uwa minga tjutangka wangkapai, always. Uwa kuwari nyanga kulini, kulini, everybody kulinu, munta-uwa wanyu kala patila. Wangkara wangkarala kulini, munta-uwa. Visitors-ngku panya kulilpai, ‘ai nyangatjaya patinu ka nganana yaaltji yaaltji kuwari? Nganana wai putu kulilpai’. Wiya, Tjukurpa ngarinyitu ngura, outside. Not only this park unngu kutju palu tjukurpa nganananya help-amilalatu ngapartji ngapartji ka nganana ngapartji katinyi visitors tjuta. Some reckon nobody living in the homelands but this good story to tell to the visitors panya. Ka nganananya help-amilantjaku kulu kulu. Government gotta really sit down and help. We got good places up here. Ngura kulunypa tjuta nyarakutu ngarinyi but he got Tjukurpa tjara. Not Tjukurpa panya nyanga side but only this side, the public story. Uwa. Uwa. Ka tourist tjinguru kulilpai, ‘ah, I done nothing in this place’ but katira nintini, sit down and talk on the homeland, uwa. Nyinara wangkara visitors kulira kulira, they’ll go happy, ‘munta-uwa I learnt a lot about Anangu’. Money is the land whitefella see, ka Anangu see the ngura, the land is Tjukurpa. Tjukurpa wiyangka tjinguru wiya. Culture kanyintjikitjala mukuringanyi. Culture tjinguru mala, another fifty years tjinguru panya, another hundred years, culture is gone, ma-wiyaringanyi. Nyara palula we gotta be strong. Ngapartji ngapartji panya government will understand, munta-uwa, what they saying. It doesn’t work with money. Money will go away, it’s like blowing in the wind, panya. Walpangku puriny waninyi. 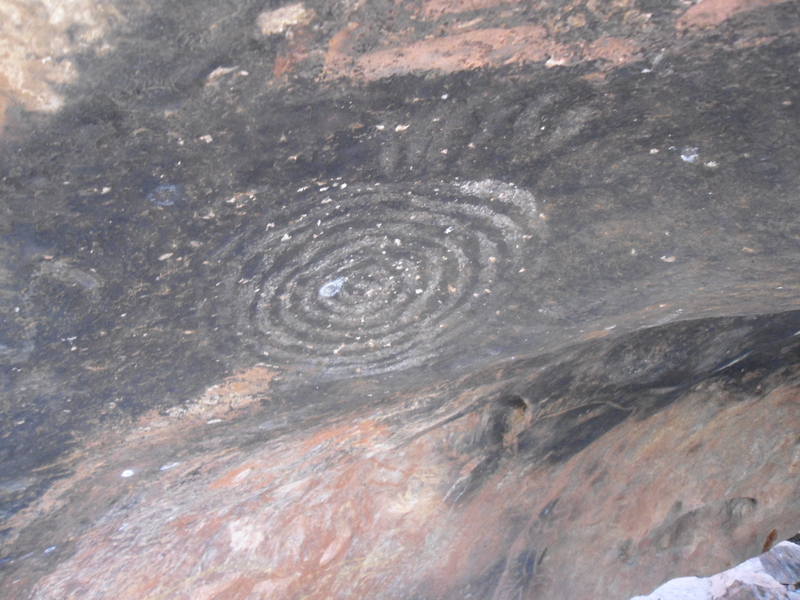 Culture panya Ananguku culture – Tjukurpa is there ngarinyi alatjitu. Iriti Anangu bin go and work on the stations. They work for the station manager he want his land, block of land and uwa munta-uwa nyangatja nyangatja. Anangu was camping there, putingka. Building their fence because its boundary. Boundary palyanu that’s the law, whitefella-ku law to look after cattle or sheep or whatever oh that’s the law, Anangu was building it, Anangu working and Anangu now is sitting outside, he can’t get in! malaku, ngura nyakuntjikitja. Putulta kulini, ‘ai? Why? nyaakula fence-ingka patinu? That was me! I built a fence for that bloke and that bloke don’t like me, I’m outside now. Munta nyanga purunypa, same, what I’m saying. Tjinguru nyaa kulintjaku you know… I built a coca cola factory here. That coca cola factory might say no! Hello, close it otherwise he’ll take me to court. Pala purunypa is Ananguku panya. Iriti they bring this rock without knowing. They bring the rock from Devil’s Marbles to Alice Springs. Palunya ngalya katingu ka Anangu tjutangku putu wangkara wangkara that tjinguru paluru iriti righta ‘wai! Why that thing from here is over here?’ Wangkara wangkara wangkara wangkara wangkara wangkara, some pass away-aringu palu purunypa people understand, ‘hey we gotta take this back!’ Tjukurpa paluru tjana kulinu. That’s the same as here, wangkara, wangkara hello, palya patinila. You know, ngura look out-amilani tjungu, still the same panya, government and Anangu. Anangu is the government too but this government, whitefella government, panparangu nguwanpa. Wiya, panparangkuntja wiya please, we gotta be tjungu. Respect. Iritinguru Anangu nguluringanyi nguwanpa, nguluringanyi, ah! someone is watching us like with a gun: ‘Don’t close it please’… don’t point me with a gun. Pukularintjaku Anangu and piranpa, together, tjungu, uwa munta-uwa, patinu palya nyanganyi the playground. Ngura got Tjukurpa. – vistors nyangatja welcome ngura. Tjituru tjituru wiya nyangatja – happy palyantjaku. Wiya, come together, wiya come together patintjaku. It was a much later start today, with just some short walks to knock over before a fairly relaxing afternoon. Before I started the walks I stopped at the Uluru Sunset Viewing Area to collect a couple of shots of Uluru. The first of the two walks for this morning was the Liru Walk. The Liru Walk connects Uluru with the Cultural Centre and can be walked from either location. I started at Uluru because it would also be the starting point for the Mala Walk, the second walk I would be doing this morning. The Liru Walk is a 4 km return walk which is flat and easy, making its way through the low woodland and wildflower covered region between the Rock and the Cultural Centre. 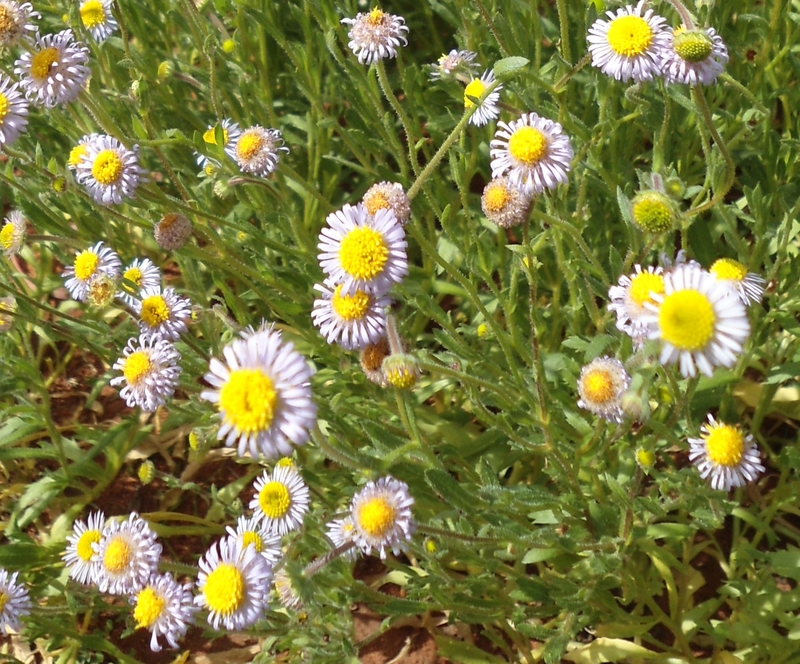 It was a visual feast of wildflowers during my visit. With the Liru Walk completed, I headed off to repeat the Mala Walk, which I had completed as part of the Uluru Base Walk 2 days before. I wanted to do the walk again because it was very crowded on the previous occasion and Uluru seemed much quieter at the moment and it indeed proved so. Still, there were some ‘yahoos’ about and I did mention something to someone about how all that spoiled the experience of the place. Little did I know at the time that the woman I mentioned that to was the mother of the teenagers carrying on like idiots and they were soon told to quieten down. I think all present were pleased with the result. I suspect the Mala Walk is probably the best part of the area around Uluru itself, with its natural beauty and its cultural importance also, it being an important location for the Aboriginal people. The distance travelled on this day was 43 km – giving me a total of 3125 km for the whole trip to this point. When it got dark, once again, it was the usual ‘house keeping’ before bed – updating the daily journal, reviewing the holiday budget, checking in on social media, and editing and uploading photos. Then it was off to bed for an early start the next morning, with the trip over to Watarrka National Park and the Kings Canyon Resort. It was an early morning yet again as I prepared for a sunrise viewing of Uluru. This morning I was heading off to Talinguru Nyakunytjaku to catch the Uluru sunrise at either the Minymaku platform or the Watiku platform. When I arrived I was a little surprised by the number of people that turned up (not that I should have been really) and both platforms were soon packed like sardine cans. However, I soon found what I thought was a much better spot anyway, on the edge of one of the trails below the Watiku platform. Then I discovered that I had forgotten to put the battery for my camera in the camera after I had recharged my camera overnight. Thankfully the batteries were in my car so I was able to quickly correct the problem and return prior to sunrise. It wasn’t long though before other people decided I knew a thing or two about location and decided to relocate to my general position. Before long it was a case of people trying to push their way in front of me and generally bustle me – not that they got too far with that approach as I refused to give ground to them. It was actually beginning to become ‘unpleasant’ between some leading protagonists. In the end most of us got the shots we were after without the need to resort to overt rudeness. With sunrise done, it was off for the drive to Kata Tjuta, or as they are also known, the Olgas. It’s about 50 to 60km from Talinguru Nyakunytjaku, but well worth the journey. Indeed, in my opinion Kata Tjuta is a far better experience than Uluru. But as I have said before, every location has something different to offer and I enjoyed every one I went to over my holiday. First stop at Kata Tjuta was Walpa Gorge, which is a fairly short walk overall and quickly completed. It is a 2.6 km return walk, in and out of Walpa Gorge as the name probably suggests. It was still quite cold when I arrived and still early in the morning. 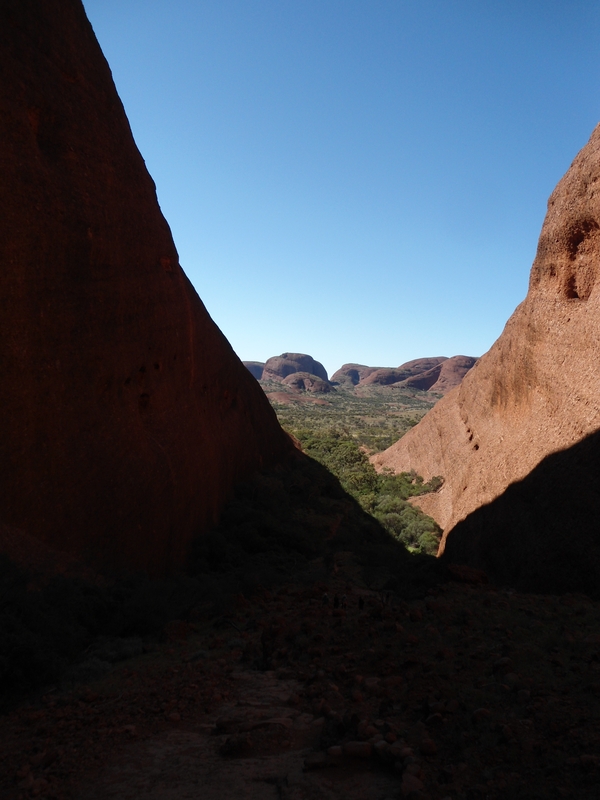 There were very dark shadows being cast over the gorge by the massive domes that are Kata Tjuta. On the walk however, the heat that was being radiated from the domes was quite noticeable, having obviously retained heat from the previous day. A beautiful spot and well worth the visit – though I was keen to get onto the next walk, which is my favourite at Uluru-Kata Tjuta National Park. The Valley of the Winds is truly a magnificent experience and walk. It is a 7.4 km challenging circuit walk that takes about 3 hours to complete. There are two lookouts along the trail – the Karu Lookout (after 1.1km) and the Karingana Lookout (after 2.7km). Both provide incredible views, yet it could be argued that the entire walk is one great vista. I enjoy almost every bushwalk I embark on, but there are some that really rank highly in my estimation. There is the Grand High Tops Walk in Warrumbungle National Park, especially if you are able to tie Bluff mountain and Mount Exmouth into it as well. Actually, the more I think about it the more walks I want to include in my ‘highly estimated’ walks, but the Valley of the Winds has to be up there as well. I would have to include Kings Canyon Rim Walk and Ormiston Gorge among those walks also now I guess. Those brilliant walks were yet to come on this holiday. As breath-taking as the Valley of the Winds is, it would probably be a terrible place to be in the height of summer. It was late winter and already very hot. I did see a couple of people not really coping with the walk. I can just imagine how many people come to grief to some degree in the hotter months. I found the walk to be a very pleasant and comfortable one in itself, let alone with all that there was to experience while on it around about me. After the Valley of the Winds it was a short drive to the Kata Tjuta Dune Viewing Area, which provides some spectacular views of Kata Tjuta and of Uluru in the distance. There is a short 600m walk up to the viewing platform – all very easy. 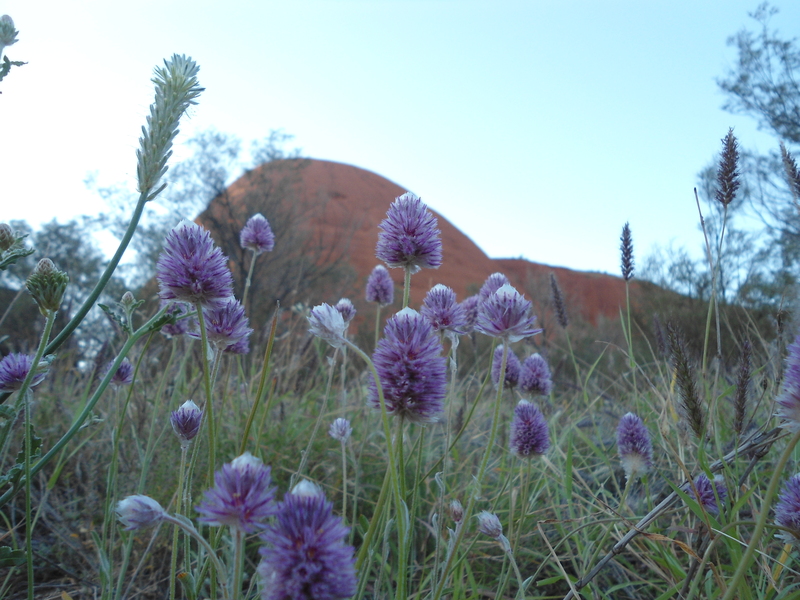 A visit to Kata Tjuta should always include a visit here. The day’s activities were all over fairly early in the afternoon for me, so it was back to camp to enjoy some quiet time and relaxation, get a bit of washing done and generally rest, read and the like. The distance travelled on this day was 150 km – giving me a total of 3082 km for the whole trip to this point. When it got dark, once again, it was the usual ‘house keeping’ before bed – updating the daily journal, reviewing the holiday budget, checking in on social media, and editing and uploading photos. Then it was off to bed for a later start the next morning, with just the Liru and Mala Walks on the agenda.